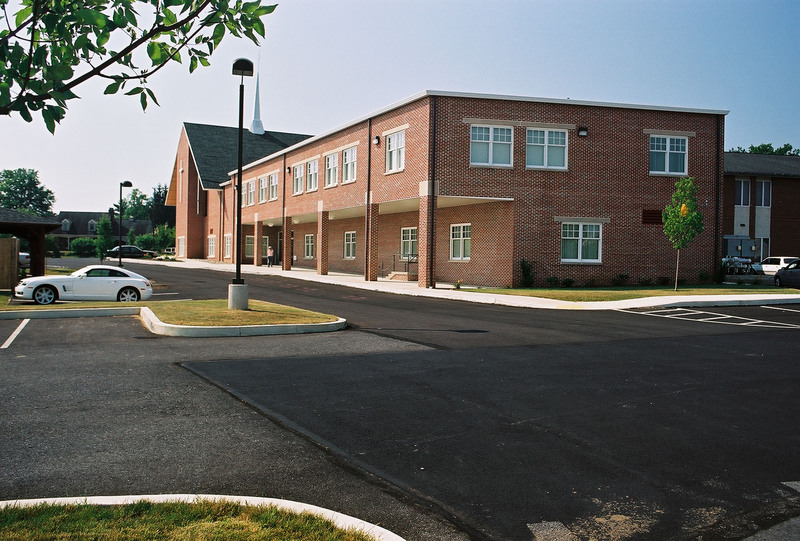 Substantial renovations and a sizable building expansion to the existing church building were done to fully utilize the sizable property to accommodate needs of the growing congregation. 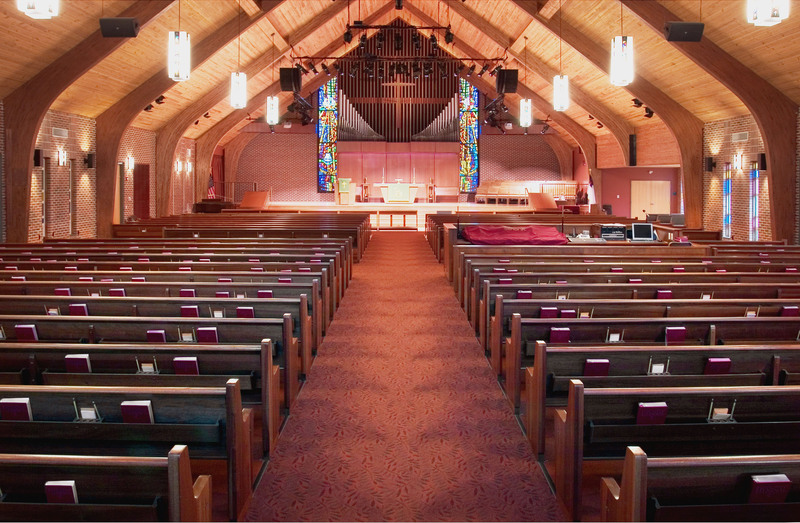 The project was achieved with a design/build team that included Hammel Associates Architects, the general contractor, and members of the church building committee. After conducting an extensive investigation of the existing structure and infrastructure, we provided all design plans and recommendations, project management, scheduling, coordination, and review/recommendations of product selections from beginning to completion. Now there is a larger sanctuary, more parking, new classrooms, a larger fellowship area with commercial style kitchen, and more entrances for easy access from all sides of the church. The existing chancel wall was removed and rebuilt to create this larger sanctuary, that has increased seating capacity and much-needed additional storage space. It also makes it possible for this area to be used for a wider range of activities, including large weddings and a public performance venue. The upper windows identify the location of classrooms put in the new second level addition. Classrooms vary in size to accommodate changes for different age groups and the number of students each year. 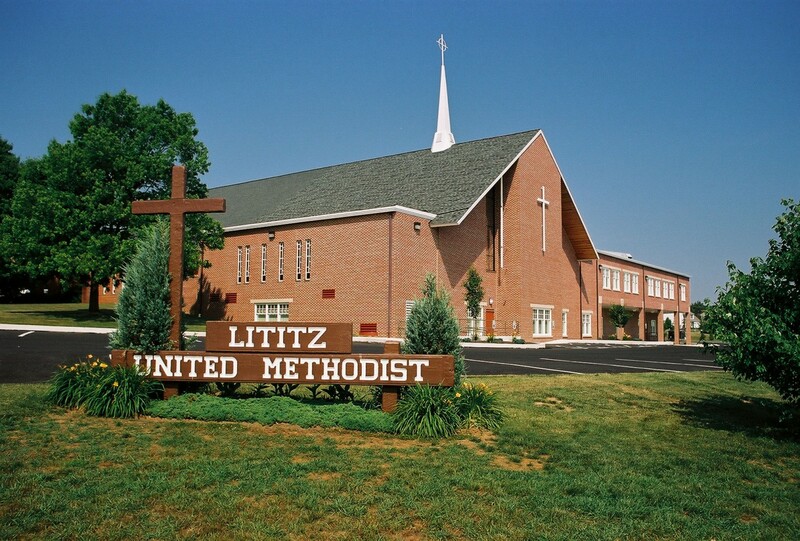 The street level portion of the addition includes an expanded fellowship hall, commercial kitchen, and larger restrooms for community and church events and functions. 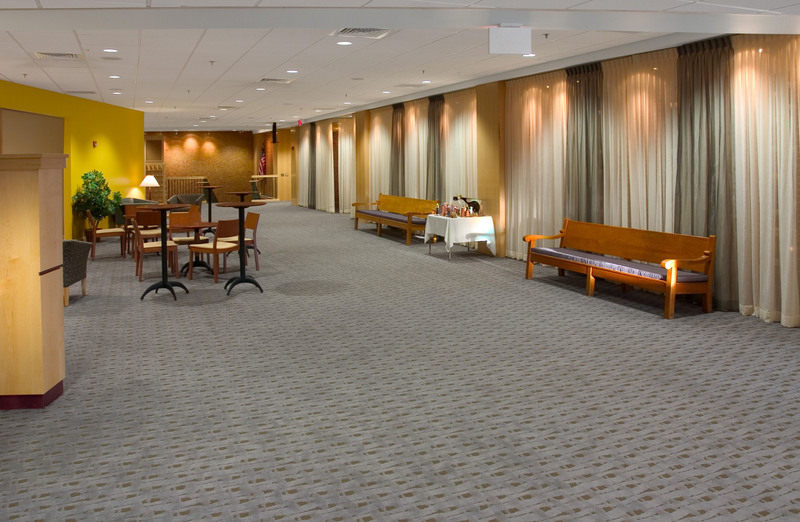 The direct entrance to the fellowship hall keeps access separate from the main sanctuary. A courtyard was eliminated to create this expanded narthex that now backs up to the sanctuary. The new wall is cleverly concealed by using full-length curtains that add sound absorption while providing the practical purpose of hiding the back lighting behind them for the stained glass windows in the sanctuary. There is now also room for a café, retail shop and bookstore, areas of group seating, and the elevator access to the new second floor, making this a popular gathering place for socializing and conversation. The new lower level entrance from an additional parking lot leads directly to the larger fellowship hall on the main level. The open staircase goes up to the new classrooms on the second floor and adjoins the expanded narthex shown in the previous photo. 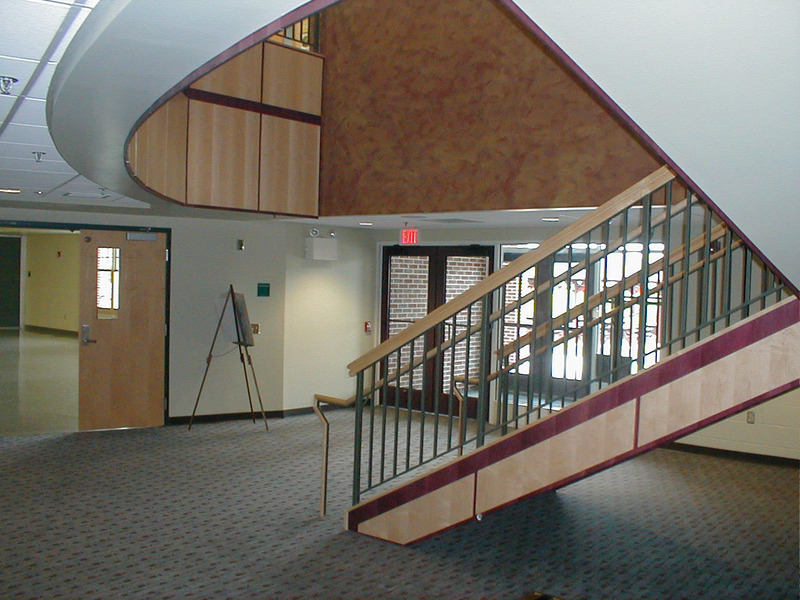 The interior design features of soft patterned carpet, a mix of bold and neutral colors, the open railing used on the staircase, the rich faux painted wall, and the second level curved loft combine to make this an inviting space that connects the worship and fellowship parts of the church.